The tallest mountain of Japan, Mount Fuji, could be seen from almost anywhere in Edo, the capital of Japan. From 17th to late 19th century, when Ukiyo-e, Japanese woodblock prints were in the height of its popularity, this iconic mountain made an impact upon the great masters such as Hokusai (1760-1849) and Hiroshige (1797-1858) and later continued to inspire Shin-hanga artists such as Hasui (1883-1957). This exhibition, held in collaboration with Japanese Gallery, focuses on Mt. 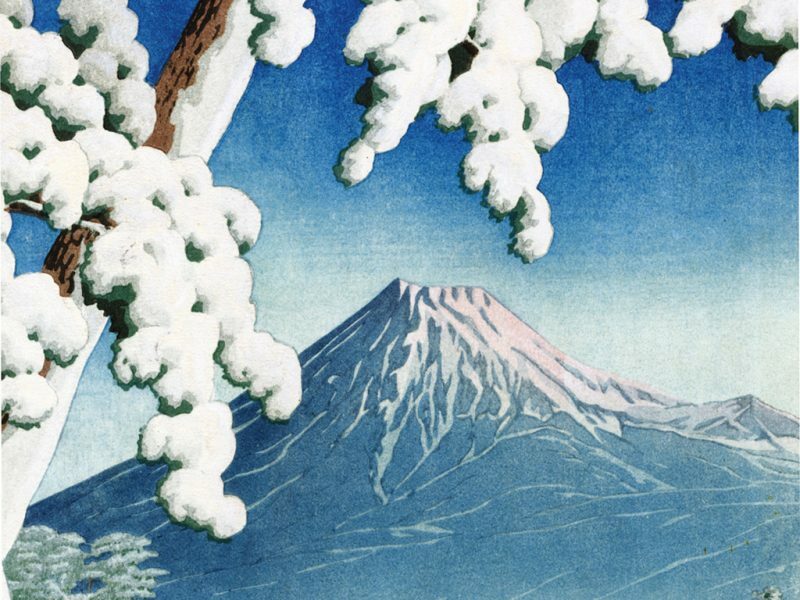 Fuji from various artist’s viewpoints, depicted in a variety of seasons, colours, and climates. Immortalised in these prints, the exhibition is a display of the admiration of this icon spanning the centuries. ​Join Mika Suetake from Japanese Gallery (founded in 1977), the curator of this exhibition, for an in-depth look into the world of Japanese woodblock prints, followed by an exclusive insight into the creation of this exhibition. Learn more about the traditional techniques of woodblock printing, and the secrets behind these wonderful prints. This is a free event, however to avoid dissapointment, book your space via Eventbrite website link as below.